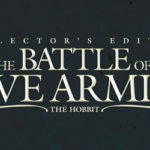 Home » News » Updates » War of the Ring section is updated! The upcoming products of the War of the Ring line are now online in the game's section, featuring the expansion Lords of Middle-earth and the new version of the Card Box and Sleeves, with a portrait of Gandalf the Grey in the thin box. Visit the War of the Ring section to check the new items.